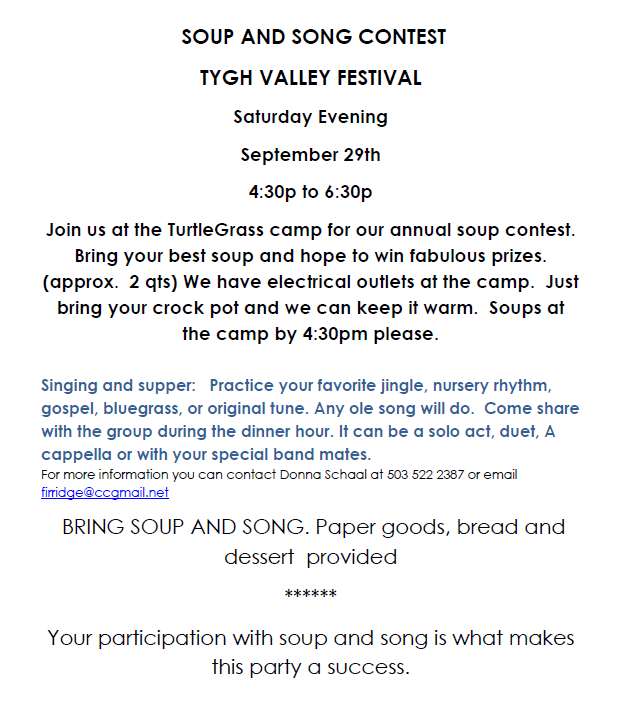 Join us at the TurtleGrass camp for our annual soup contest. Bring your best soup and hope to win fabulous prizes. (approx. 2 qts) We have electrical outlets at the camp. Just bring your crock pot and we can keep it warm. Soups at the camp by 4:30pm please.